An amalgamation of out-of-this-world shopping experiences, cutting-edge beauty, and fascinating culture, Seoul, South Korea has quickly skyrocketed to the top of every jet-setter’s travel list. And with Korean Air’s direct (and comfy) flights from NYC, it’s never been easier to get there for your next great adventure. So while you’re mapping out your plans, consider all that South Korea has to offer — from all-hours malls packed with clothes and knicknacks to the best BBQ imaginable to skin care you didn’t know you needed (but now can’t live without). Nestled down a picturesque path, the Sooyeon Sanbang Tea House offers an idyllic afternoon activity and way to familiarize yourself with South Korea’s historic variety of teas and desserts. Seoul isn’t necessarily a walking city, so get your steps (and leaps and climbs) in with a little rock climbing at a calm and inviting indoor gym. The landmark Banpo Bridge lights up with a rainbow light and water show at night, which makes it a prime place to picnic come sunset. This charming village is home to ample coffee shops and art stores nestled together alongside traditional South Korean-style homes. Located smack dab in the middle of downtown, Deoksugung is a 16th-century royal palace that still puts on an elaborate Changing of the Guard ceremony several times a day. Get to know South Korean history through established and contemporary artists at this impressive museum. Pro tip: Walk the grounds of the back garden to round out a perfect day in Seoul. Home to the National Folk Museum of Korea, the grounds of this iconic tourist attraction are always bustling with locals who can often be seen wearing traditional South Korean clothing. Hongdae is a young, hip neighborhood that stays busy around the clock. Bop around during the day for some serious local shopping, but stay for the bars, clubs, and 24-hour stores at night. Seoul is home of the mega mall — they’re almost always busy, almost always open, and definitely not for the faint of heart (or wallet). Plus, each offers a unique shopping experience ranging from luxury to affordable and everything in between. You may already be familiar with this purveyor of ultra-chic eyewear and sunglasses, but its flagship store is still a must-see in person. Its floors are always filled with out-there art installations, making your shopping experience all the more fun. Already a fashion favorite, beloved shoe brand Reike Nen is known for practical yet forward-thinking silhouettes. In this one-of-a-kind shop, you can order a fresh pair sketched by designers just for you. 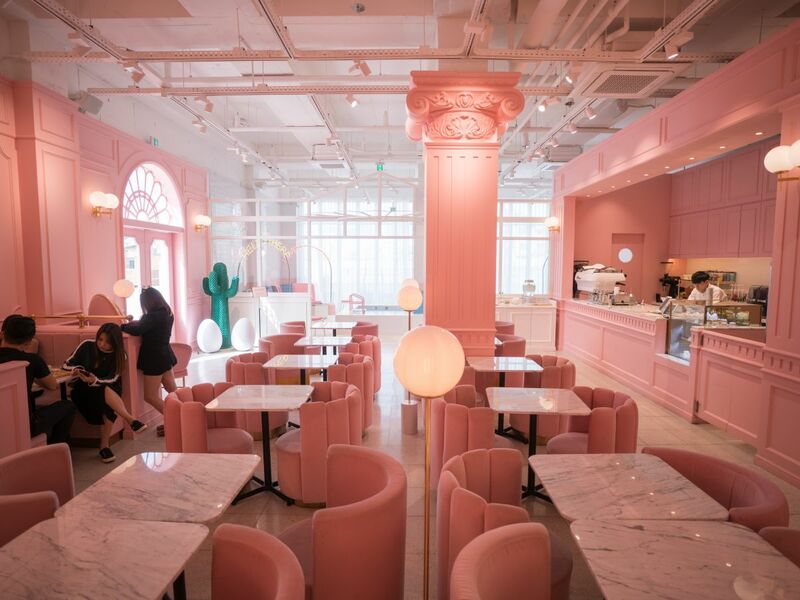 You can’t leave Seoul without visiting at least one of the Stylenanda shops. The clothes and jewelry are of the moment and come in an array of styles — from minimalistic to athletic. And best of all, everything’s super affordable. It’s also a great spot to try out some Korean beauty products (we highly recommend the lip tattoo and highlighter). Located in Dongdaemun Square near some of the biggest malls in Seoul (again, malls are a major thing), this retreat of a hotel offers a robust breakfast buffet, a state-of-the-art gym, and a lavish pool — each worth checking out. Welcome to the home (or, uh, mansion) of Korean BBQ done with style. Aside from the gorgeous exterior, this place is known for some of the best — and fanciest — Korean grilled steaks that keep people coming back for more. A reservation is absolutely necessary at Olh Eum, because the chefs custom select fresh and unique ingredients based on each guest every single night. While you might not recognize the foamy, deconstructed dishes as they arrive at your table, you’ll definitely remember them for their beauty and taste. 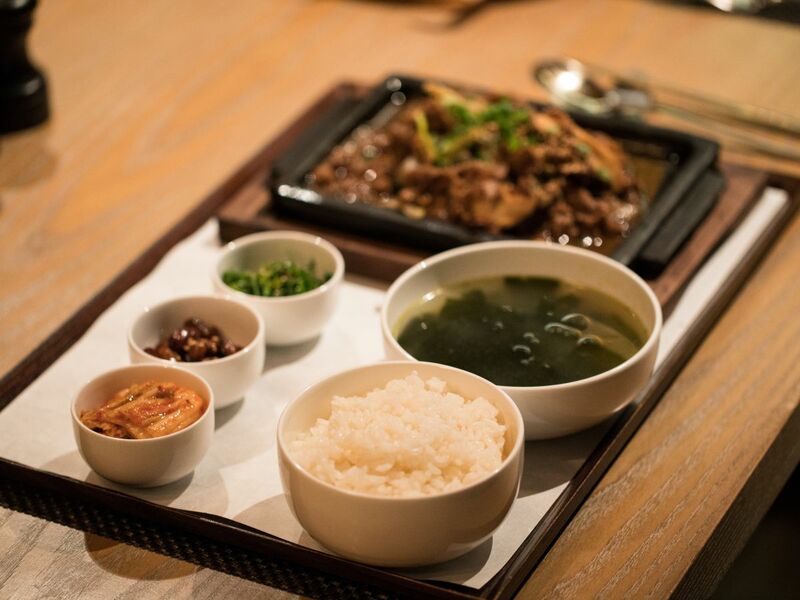 If you want to learn and dine at the same dang time, come here, where you’ll be served up vegan temple food alongside knowledge of South Korea’s monastic history. Dining in Space is like eating a meal in the most elegant treehouse you’ve ever seen. Here, you can enjoy seafood and wine with a view, surrounded by big paneled windows. A foodie haven in the heart of Seoul’s winding streets, this spot offers a reliably good menu — including oysters, bone marrow, and some fantastic Soju to wash it all down. An upscale single-malt-whiskey bar with fantastic service and a fancy, yet comfortable interior design. Contra and its downstairs neighbor Cakeshop are the kinds of secret hipster bars/DJ dance nests that you’d want in your own city. Make do with visiting them at least once in Seoul for an unforgettable night. Green Eyeliner Could Look So Chic? Juices Vs. Smoothies — Which Are REALLY Better For You? Is Pam Anderson Risking Her Life For Haiti?